Teach the Bringing Baby Home Program to couples in your community. Even the strongest relationships are strained during the transition to parenthood. Lack of sleep, never-ending housework and new fiscal concerns can lead to profound stress and a decline in marital satisfaction — all of which affect baby’s care. Not surprisingly, 67% of new parents experience conflict, disappointment and hurt feelings. Our research-based Bringing Baby Home workshops prepare couples for life with baby and helps them be the best parenting team possible. In a relaxed and supportive environment, parents learn to strengthen their relationship and foster baby’s development during this challenging time. They build on what Dr. Gottman and colleagues found is the best predictor of marital adjustment after baby arrives: the quality of friendship in the marriage. Learn how to teach pregnant and parenting couples the skills needed to encourage healthy, supportive family relationships. 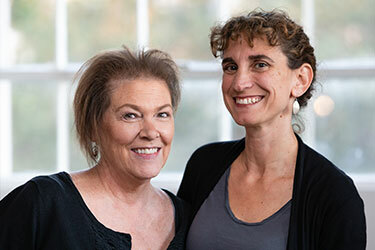 This newly designed, research-based training equips participants to independently teach pregnant and parenting couples to successfully prepare for the transition to parenthood. The training is a high quality program that combines lecture, multi-media presentations, interactive exercises, and discussion. Dedicated trainers facilitate two days of research-based training, teaching participants how to use the materials, content, tools, and exercises. You will be equipped to teach the Bringing Baby Home workshop to parents immediately following the training. What will I learn in the Bringing Baby Home Educator Training? To see a detailed workshop outline, click here. What are the requirements for becoming a Bringing Baby Home Educator? What if I plan on co-presenting workshops? If you intend to co-present workshops, bring your co-presenter and get trained together. What can a Gottman Bringing Baby Home Educator do upon successful completion of the training? Are there any limitations to what I can do with my Bringing Baby Home Educator title? Present oneself as an employee, agent, or other representative of the Bringing Baby Home Program or The Gottman Institute. Exceptions to this are made for those hired as Master Trainers or Consultants to the Bringing Baby Home Program. Present oneself as a Gottman Couples’ Therapist or to market / publicize the Bringing Baby Home workshop as Gottman Couples Therapy. This distinction requires a separate “licensure” program. Information about this opportunity can be obtained here. (Please note: If you have already obtained this distinction, then it is encouraged and appropriate to use both sets of letters and distinctions). Present oneself as a couples’ therapist or market / publicize the Bringing Baby Home workshop as couples’ therapy. This distinction requires licensure from an accredited school, program, or organization. Offer independent training or licensure on behalf of the Bringing Baby Home Program. For more information on how to become an approved, recognized Bringing Baby Home Training Specialist, please reach out to training@gottman.com. Offer or present Bringing Baby Home training workshops for other professionals, unless said professionals attend as couples experiencing the transition to parenthood. What are the requirements for maintaining the Bringing Baby Home Educator status? How can potential couples know that I am approved by The Gottman Institute? Website Posting: Once you have completed and passed the requirements for the Educator Training, a Bringing Baby Home Educator’s name, name of organization, city, and state of residence will be posted in the directory of Gottman Educators on the Bringing Baby Home website. This will allow couples to know that they are taking the workshop from an endorsed, reputable instructor. 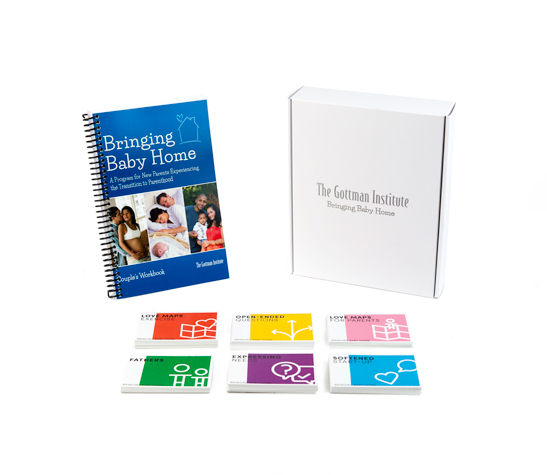 It is requested that Bringing Baby Home Educators keep The Gottman Institute informed of any address or program changes. Confirming Status: The TGI staff would be glad to provide documentation or verbal confirmation of any Bringing Baby Home Educator’s status. Please have interested parties contact us via phone (206) 523-9042, ext.152 or online.